PARIS, 15th December 2017 (VCHR) – The Vietnam Committee on Human Rights (VCHR) welcomes the unanimous adoption by the European Parliament in Strasbourg on Thursday 14th December of a “Resolution on Freedom of Expression in Vietnam, notably the case of Nguyen Van Hoa”. The Resolution was tabled jointly by the EP’s five major political parties from across the political spectrum (1). In the debate in Plenary Session, not one MEP spoke in support of Vietnam, and all condemned the serious deterioration of civil and political rights in the country. On the convictions of bloggers Nguyễn Văn Hóa (condemned to 7 years in prison on 27th November 2017) and Nguyễn Ngọc Như Quỳnh (10 years in prison, upheld on appeal on 30 November 2017), the Resolution deplored that they were based on “national security” provisions in the Criminal Code that are “in breach of international human rights law”. 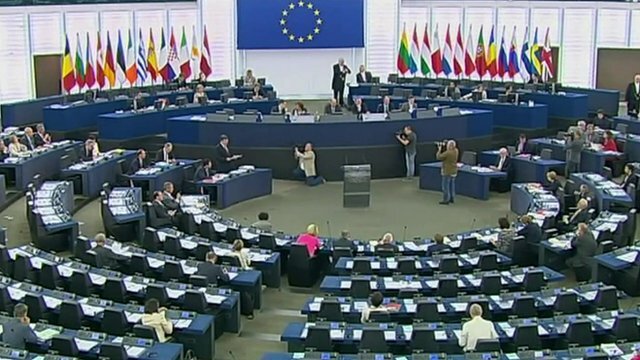 MEPs expressed concern about the “extensive application” of these provisions, and called on the Vietnamese government to “ensure that national security concerns are not used as a pretext for the suppression of human rights, including freedom of expression and freedom of religion and belief”. They recalled that several national security crimes are punishable by death. The EP Resolution stressed that many laws recently adopted by Vietnam violate international law. It cited the “Law on Access to Information and an amended Press Law, which restricts freedom of expression and reinforces censorship”, or “the Law on Belief and Religion, which [is] incompatible with international norms”. The EP called on Vietnam to urgently revise these laws, and review and amend its Criminal Code. The Resolution stated that “freedom of religion or belief is repressed in Vietnam and the Catholic Church and non-recognised religions, such as the Unified Buddhist Church of Vietnam, several Protestant churches and others, including ethnic minority Montagnards, continue to suffer severe religious persecution”. On the margins of the debate, MEP Soraya Post, who went to Vietnam with an EP Delegation in February 2017 to monitor the human rights situation, expressed concern about the plight of UBCV leader Thích Quảng Độ: “I would like to raise my concern for the Buddhist monk Thich Quang Do. I asked to meet him when I was in Vietnam, but it was not possible. The Vietnamese government should release him immediately. He has spent so many years in detention. He has done no harm; he is a simple Buddhist monk”. Thích Quảng Độ, 89, was arrested in 1982 for opposing the creation of the State-sponsored Vietnam Buddhist Sangha, and has been detained since then under different forms (prison, internal exile and house arrest) almost without interruption because of his peaceful advocacy of religious freedom, human rights and democracy. He is currently under house arrest without charge at the Thanh Minh Zen Monastery in Ho Chi Minh City. “For once, during the debate on the Resolution, the European Parliament and the European Commission spoke with one voice to denounce the unprecedentedly brutal crackdown going on in Vietnam” said Võ Văn Ái. Noting that “the EU underlined the deterioration of civil and political rights in Vietnam” at the EU-Vietnam Human Rights Dialogue in Hanoi on 1st December 2017, MEPs expressed “concern at the increasingly restrictive approach of the authorities with regard to freedom of expression and other freedoms” and condemned “the use by the authorities of physical and psychological harassment, extra-judicial house arrest, pressure on lawyers, employers, landlords and family members of activists, and intrusive surveillance”. 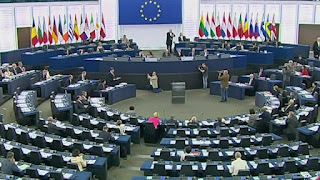 In conclusion, the EP called on the Vietnamese authorities to “release all citizens detained for peacefully exercising their freedom of expression”, “end all restrictions on and acts of harassment against human rights defenders and guarantee in all circumstances that they are able to carry out their legitimate human rights activities without fear of reprisals and free of all restrictions including judicial harassment”, and extend invitations to the UN Special Rapporteurs on Freedom of Opinion and Expression and Human Rights Defenders to visit Vietnam. 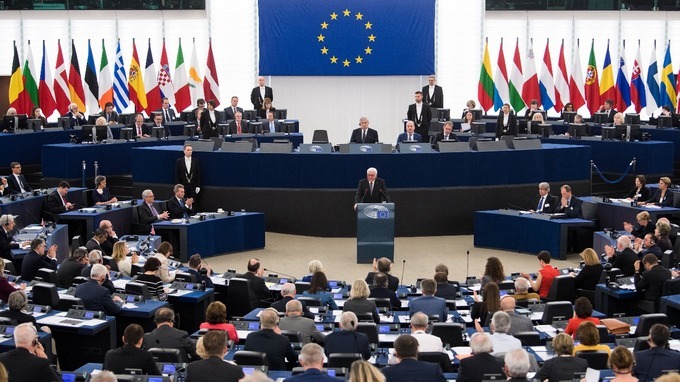 Speaking in the debate in the plenary session, EP Vice-President Pavel Telička said he was “shocked” by a letter sent by the Permanent Mission of Vietnam to the EU to a number of MEPs which sought to dissuade the Parliament from adopting the Resolution. It denied all allegations of human rights violations against Nguyễn Ngọc Như Quỳnh and Nguyễn Văn Hóa and justified their convictions. According to Mr. Telička, the letter accused Như Quỳnh of acting in connivance with a “terrorist organization”, and claimed that Nguyễn Văn Hóa had “confessed his wrong-doings”. By way of a reply, the Resolution “insist[ed] that no statement extracted under torture or other ill-treatment are relied upon as evidence to convict individuals accused of propaganda or other politically motivated charges”. 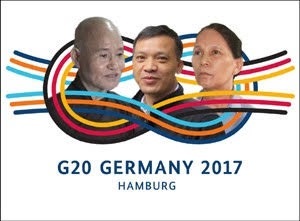 PARIS, 6th July 2017 (VCHR) – As Vietnamese Prime Minister Nguyễn Xuân Phúc arrives in Hamburg for the 12th meeting of the G20 Summit from 7-8 July, the Vietnam Committee on Human Rights (VCHR) and over 40 personalities and civil society organizations from all over the world call on Vietnam to release three prominent prisoners of conscience, Buddhist dissident Thích Quảng Độ, human rights lawyer Nguyễn Văn Đài and Buddhist environmentalist Đỗ Thị Hồng. In an Open Letter to the Vietnamese Prime Minister made public today, the organizations expressed “deep concern about the continued detention and ill-treatment of prisoners of conscience in Vietnam. We highlight the cases of three prominent human rights defenders from three different religious communities: the Most Venerable Thích Quảng Độ, Mr. Nguyễn Văn Đài and Ms. Đỗ Thị Hồng have been arbitrarily detained, without the due process protections afforded to them under international law. We consider them to have been deprived of liberty solely for exercising their human rights peacefully, and therefore request their immediate and unconditional release, and the release of all other prisoners of conscience detained in Vietnam”. Mr. Võ Văn Ái, VCHR President and one of the Open Letter’s initiators, regretted that “whilst Vietnam attends this high-level meeting on global economic development, it is stifling its own people’s human development by suppressing civil society and silencing independent religious and political voices. Thích Quảng Độ, Nguyễn Văn Đài and Đỗ Thị Hồng are deprived of their freedom today simply for seeking to build a better life for the people of Vietnam”. Most Venerable Thích Quảng Độ, 89 year-old Patriarch of the Unified Buddhist Church of Vietnam (UBCV), and “Vietnam’s longest-detained human rights defender... is being detained under extreme restrictions at the Thanh Minh Zen Monastery in Ho Chi Minh City”, the Open Letter said. When he expressed his wish to move to Hue in May this year, the Vietnamese authorities placed his assistant Lê Công Cầu under house arrest and said that Thích Quảng Độ was “not welcome” in the ancient Vietnamese capital. Human rights lawyer Nguyễn Văn Đài, 49, “has been held incommunicado, without access to lawyers of his choosing” since his arrest in December 2015 for holding a workshop on human rights. He previously spent four years in prison because he “offered pro bono legal advice to religious communities, fellow human rights defenders, political groups, and independent labour unions”. Lawyer Đài was awarded the 2017 Human Rights Prize by the German Association of Judges. Vietnam prevented his wife from traveling to Germany to receive the award on his behalf. Environmental activist Ms Độ Thị Hồng, 60, a member of the Buddhist sect Ân Đàn Đại Đạo is in very poor health. She is serving a 13-year sentence for “plotting to overthrow the government” on the basis of “incriminating evidence” including “excerpts from a sermon by the founder which referenced human rights, protection of the environment, and international law”. 22 members of her group were sentenced to a total of 299 years in prison and 105 years house arrest at a closed trial in 2013. “Pressing issues at this G20 Summit include climate change and the protection of the environment” said Võ Văn Ái “In Vietnam, economic liberalization without democratic safeguards has led to serious, negative impacts on the environment. Civil society voices are crucial to warn against these dangers and call for preventive action. Yet those who dare speak out are imprisoned for “plotting to overthrow the government”. The G20 consists of 19 countries plus the European Union. The countries are Argentina, Australia, Brazil, Canada, China, France, Germany, India, Indonesia, Italy, Japan, Mexico, Russia, Saudi Arabia, South Africa, South Korea, Turkey, the United Kingdom and the United States. It members account for 85% of the world’s GDP and two thirds of its population. Vietnam is not a member of the G20, but the Prime Minister is invited to this year’s Summit in his capacity as President of APEC 2017, which will be held in Vietnam. EPRIDPARIS, 27 March 2017 (VCHR) - The European Platform against Religious Intolerance and Discrimination (EPRID), a Brussels-based network of civil society religious and non-religious organisations working to mainstream freedom of religion or belief (FoRB) in EU policies and practices, has sent an Open Letter to leaders of the European Union urging them to continue and strengthen the mandate of the Special Envoy for the promotion of Freedom of Religion or Belief outside the European Union. The mandate was created in May 2016 and Dr Ján Figel (former European Commissioner for Education, Training, Culture and Youth) was appointed as the first Special Envoy for a period of one year. Quê Me: Vietnam Committee on Human Rights (VCHR) has been a member of EPRID since its foundation in 2006. EPRID members applauded the achievements made by Dr Figel during his short time in office and stressed that “in the current international climate of persecution and diminution of the basic freedoms of religion, belief and expression, the continuation of an informed and articulate voice on behalf of Europe is necessary”. 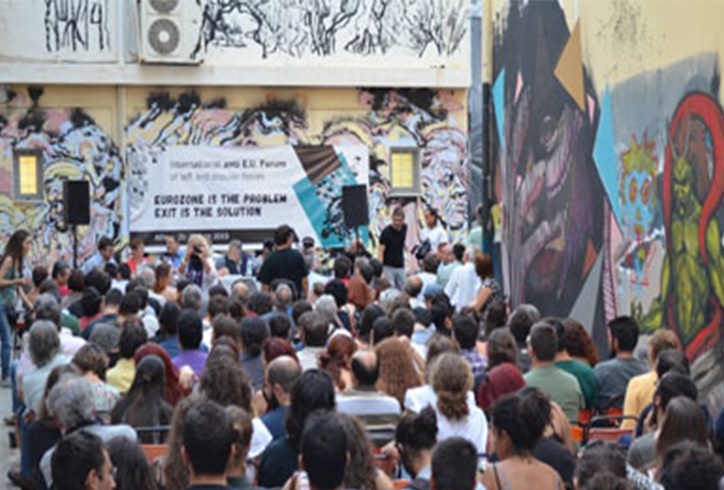 However, EPRID also expressed concern that the mandate’s true potential was weakened by lack of resources, limitations on institutional authority and the short period of its duration. Without swift measures to address these issues, they said, the mandate risked to fail, or “worse still, to lapse into window dressing and tokenism at a time when real action is required of the EU”. EPRID’s Open Letter made several concrete recommendations to President Donald Tusk, President Jean-Claude Juncker, EU High Representative and Vice-President Federica Mogherini and Commissioner Neven Mimica, and urged them to consider them seriously to strengthen the EU’s capacity to advance freedom of religion or belief. EPRID’s letter was signed on behalf of its members (1) by the Board of Coordinators, Dr Susan Kerr (CSW), Penelope Faulkner (Quê Me-VCHR) and Christel Lamère Ngnambi (EEA). --------------------- (1) The European Platform on Religious Intolerance and Discrimination (EPRID) is a network of civil society organisations, including religious and non-religious associations operating at EU level. 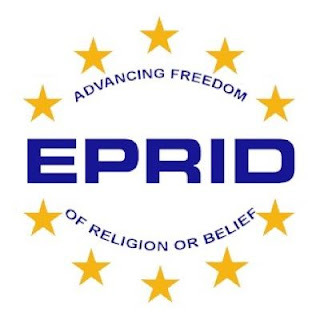 EPRID aims to contribute to the collective promotion and protection of the right to freedom of religion or belief in the world as defined by Article 18 in the Universal Declaration of Human Rights. Its members include: Association Internationale pour la Défense de la Liberté Religieuse; Bahá'í International Community; CEJI - A Jewish Contribution to an Inclusive Europe; Christian Solidarity Worldwide; Conference of European Churches; European Evangelical Alliance; European Union Office of The Church of Jesus Christ of Latter-day Saints; Global Human Rights Defence; Human Rights Without Frontiers; Open Doors International; Quê Me: Vietnam Committee on Human Rights. PARIS 24 February 2017 (VCHR) – A delegation of Members of the European Parliament visiting Vietnam from 20-24 February 2017 expressed serious concerns about violations of social and political rights including freedom of expression and association, freedom of religion or belief and freedom of the press. They said they were prevented from meeting prisoners of conscience and independent religious groups, and that several bloggers, human rights defenders and independent civil society activists were “harassed and persecuted” to prevent them meeting the MEPs. The cross party delegation was made up of members of the European Parliament’s Subcommittee on human rights, led by its Chairman Pier Antonio Panzeri (Italy, S&D) and including Soyara Post (Sweden, S&D), David Martin (UK, S&D), Lars Adaktusson (Sweden, EPP), Adam Kosa (Hungary, EPP) and Beatriz Becerra Basterrechea (Spain, ALDE). The objective of the mission was to assess the human rights situation in Vietnam and raise the human rights impact on the EU-Vietnam Free Trade Agreement (FTA). The FTA, which was approved in December 2015, has still not been ratified by the European Parliament. At a Press Conference in Hanoi on Thursday, Mr. Panzeri said that repression of free speech, lack of transparency in the legal system and restrictions on human rights were serious obstacles to ratification of the FTA. “We need progress in human and social rights”, he said. “But at this time progress has not been made. We have told the Vietnamese authorities that it will be extremely difficult to approve [the trade agreement] under these circumstances”. MEP Lars Adaktusson said delegation had also raised concerns about lack of media freedom in Vietnam’s one-Party state: “We were also very clear that freedom of the press is one of the areas the government of Vietnam needs to do much more about”, he said. Regarding religious freedom, the EP delegation stated: “We called on the authorities to put an end to religious persecutions and to ensure that newly - adopted law on freedom of religion or belief from November 2016 fully complies with the international standards. We expressed concerns about the registration at the "fatherland front" which excludes independence from the political system.” In separate interviews, MEPs Beatriz Becerra and Soraya Post denounced Police harassment of civil society activists during the visit. “We met some civil society organizations when we arrived in Hanoi on Monday, and when we met them again today [Thursday], they told us they had been under surveillance, threatened and harassed. We had a meeting with the Ministry of Public Security today, I would call it a historic meeting, where we very clearly expressed our very serious concerns about this harassment of civil society”, Ms Becerra said. Before the visit, the delegation formally requested to visit prisoners of conscience, including human rights lawyer Nguyễn Văn Đài in Hanoi and Buddhist monk Thích Quảng Độ in Saigon. They also asked that members of non-recognized religious groups such as the Unified Buddhist Church of Vietnam (UBCV) be allowed to attend the meetings with official religious bodies. But Ms Becerra said that did not happen: “We only met the Government Board of Religious Affairs, and we did not visit any prisoners. The government said it was against the law to visit prisoners under investigation. But we clearly expressed our concerns about that, and made our expectations very clear that Vietnam must respect international standards in the treatment of prisoners, because these international standards are the basis for any international agreement”. 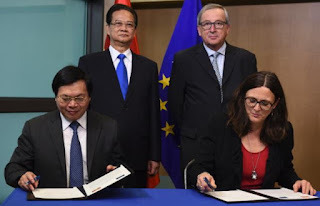 “We are in the process of ratifying the EU-Vietnam Free Trade Agreement in the European Parliament, and, given the strong opposition in Europe for this kind of Free Trade Agreement, we will have problems in getting it accepted unless we have a strong message from Vietnam and a clear, concrete roadmap to improve this situation,” she said. MEP Soroya Post said that “conditions [of human rights] are very bad.” The delegation was unable to travel to Saigon to meet Buddhist monk Thích Quảng Độ. “We were not allowed to meet any members of independent religious groups. The ones we met told us they were free and independent, because they said there was a new law on belief and religion. But these groups were all registered, so we know they come under the umbrella of political power”. Ms Post also stressed the delegations’ concern for Vietnam’s broad definition of “national security”. “We asked the Ministry of Public Security to be more clear about what they mean by that. We do not see how demonstrations or bloggers can be considered a threat to national security”. She added that the EP delegation had handed the Vietnamese authorities a list of prisoners including religious leaders, bloggers, human rights defenders and environmental defenders, calling for their immediate and unconditional release. Italy is probably the most outstanding example for these changes in the political landscape, facing a hardly sustainable economic and social crisis (banks, public debt, deindustrialization, unemployment) as well as a quick heading towards a political crisis of the regime. The Five Star Movement (Movimento 5 Stelle, M5S) could establish in this context as the party representing the discontent of the citizens. There is hardly anyone to deny that the M5S is the key for change in the country, and therefore, not surprisingly, it is the nightmare of the European elites. 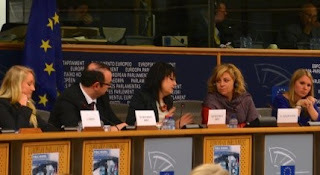 In spite of the various tendencies and the programmatic lack of definitions, M5S represents the rage against the national and European establishment, finding there also very clear-minded and left-wing speakers such as Marco Zanni, member of the European parliament for the M5S and one of the speakers in the opening of the Chianciano forum. He reported his direct experience with European politics, concluding that there is no chance for reform from inside. Thus any strengthening of democracy and social change in favour of the majority requires a break, returning to national sovereignty as a space for alternative development. On the occasion of your upcoming visit to Vietnam from 5-7 September, FIDH and its member organizations, the Vietnam Committee on Human Rights (VCHR) and the French League for Human Rights (LDH), wish to convey their utmost concern over the serious and ongoing human rights violations in Vietnam. Under the new administration, appointed by the Vietnamese Communist Party’s 12th Congress in January 2016, the authorities have intensified acts of repression against government critics and members of civil society. Activists and human rights defenders have been regularly subjected to physical assault, surveillance, restrictions on their freedom of movement, and arbitrary arrest and detention. In the latest case indicative of this trend, in August 2016, authorities extended the pre-trial detention of human rights lawyer Nguyen Van Dai to 12 months. Dai was arbitrarily arrested in December 2015, on the eve of the EU-Vietnam human rights dialogue for giving training on human rights. In addition, courts have continued to sentence activists and human rights defenders to prison terms for merely exercising their right to freedom of expression, such as prominent blogger Nguyen Huu Vinh, also known as Anh Ba Sam, condemned to five years in prison in March 2016. Over the past four months, authorities have violently cracked down on a wave of nationwide peaceful protests organized in response to an unprecedented environmental disaster that caused massive fish deaths and seriously affected the livelihood of many communities in Vietnam’s central provinces. In many cases, security forces severely beat and arbitrarily arrested scores of participants. As a result of the ongoing repression of government critics, Vietnam has now the dubious distinction of holding the largest number of political prisoners among Southeast Asian countries. Vietnam currently has approximately 130 dissidents behind bars. A particularly emblematic case is that of Thich Quang Do, the head of the Unified Buddhist Church of Vietnam (an independent religious group arbitrarily banned since 1981), who is currently under house arrest in Ho Chi Minh City. Thich Quang Do, a Nobel Peace Prize nominee, has been subjected to various forms of arbitrary detention for over 30 years. We urge you to press Vietnam’s leaders to order the immediate and unconditional release of all political prisoners and to end all acts of harassment against activists and human rights defenders. Existing legislation criminalizes the exercise of the right to freedom of opinion and expression, the right to freedom of peaceful assembly, and the right to freedom of religion or belief. Of particular concern are broadly-interpreted “national security” provisions in the Criminal Code that provide the legal means for the authorities’ relentless repression of dissent. These provisions, several of which make no distinction between acts of terrorism and expression of peaceful dissent, and prescribe the death penalty, are inconsistent with Vietnam’s international obligations under the International Covenant on Civil and Political Rights (ICCPR). Recent amendments to the Criminal Code, approved in November 2015, abolished the death penalty for seven crimes. However, 18 offenses still carry the death penalty. We urge you to call on Vietnam’s leaders to take urgent steps to abolish the death penalty for all crimes. Another issue of concern is the draft Law on Belief and Religion that will be voted very soon. If adopted in its current form (draft dated 8 August 2016), this law will be a serious step backwards for freedom of religion and belief in Vietnam and would violate the country’s international obligations under Article 18 of the ICCPR. The proposed law would legalize state interference in religious life by introducing a draconian system of registration for religious groups. The draft law would exacerbate restrictions on members of “non-recognized” religious groups, who already suffer harassment and arbitrary arrest and detention. We encourage you to raise the above-mentioned issues in your dialogue with President Tran Dai Quang and Prime Minister Nguyen Xuan Phuc and demand that the government respect, promote, and fulfill human rights principles in accordance with the country’s international obligations and the numerous recommendations made by various human rights mechanisms of the United Nations. We hope that a message in support of independent civil society will resonate during your address at the Vietnam National University in Hanoi. As more Vietnamese, especially Vietnamese youth, make increasing demands for democratic reforms and respect for human rights and the rule of law, it is important to show that France stands with them. ‘Liberty, equality, and fraternity’ are not outdated concepts. 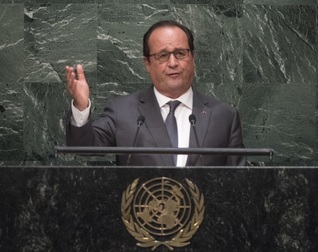 These words convey fundamental values to which France must remain committed. France must promote these values in a country where severe obstacles to the full enjoyment of key civil and political rights still remain. We thank you for your attention on this important matter. STRASBOURG, 9 June 2016 (VCHR) – At its plenary session in Strasburg today, the 751-member European Parliament adopted an Urgent Resolution strongly condemning human rights violations in Vietnam, and the escalation of repression following the Communist Party’s XII Congress in January which brought a hard-line leadership to power in the country. “This resolution was co-sponsored by 139 MEPs from six main political groups” said Vo Van Ai, President of the Vietnam Committee on Human Rights (VCHR). “It shows that a large majority of MEPs from all across the political spectrum have had enough of Vietnam’s human rights abuses. They are not deceived by Vietnam’s cosmetic gestures of “progress” and can see that violating fundamental rights is a natural characteristic of the Vietnamese regime”. Whereas Vietnam announced today that last month’s legislative elections (22 May) gave almost 96% of seats to the Communist Party, the EP Resolution notes that Vietnam “has been a one-party state since 1975, with the Communist Party of Vietnam allowing no change to its leadership and having control of the National Assembly and the courts”, and that independent political parties, labour unions and human rights organisations are banned in Vietnam” and there is no independent press. The Resolution cited extensive cases of abuse committed against political activists, journalists, bloggers, dissidents and human rights defenders, including “political intimidation, harassment, assaults, arbitrary arrests, heavy prison sentences and unfair trials”. It condemned the detention of Nguyễn Hữu Vinh, Nguyễn Thị Minh Thuý, Đặng Xuân Diệu, Nguyễn Công Chính, Trần Thị Hồng, Ngô Hào, journalist Kim Quốc Hoa and called for the immediate release of Nguyễn Văn Đài, Trần Minh Nhật, Trần Huỳnh Duy Thức, Lê Thu Hà and Thích Quảng Độ. The Resolution denounced the violent suppression (May 2016) of nonviolent demonstrations in protest against the recent “ecological catastrophe that decimated the nation’s fish stocks” and the “wide-ranging police measures to prevent and punish participation in demonstrations” which resulted in grave human rights violations “including torture and other cruel, inhuman or degrading treatment and punishment”. The Euro-MPs condemned this widespread Police violence, and called on Vietnam to establish “effective accountability mechanisms for its police forces and security agencies”. Taking up concerns expressed by Vietnam Committee on Human Rights and many international NGOs, the European Parliament called for the revision or abrogation of all legislation that restricts human rights, in particular provisions in the Criminal Code on “national security” or “abusing democratic freedoms”. They also expressed concerns about recently-adopted legislation such as the amended Press Law and the Law on Access to Information, and the draft Law on Associations and Law on Belief and Religion currently before the National Assembly which are incompatible with international human rights law. The EP expressed particular concern on the situation of freedom of religion or belief, urging Vietnam to cease persecution of religious communities and amend legislation to re-establish the legal status of non-recognised religions such as the Unified Buddhist Church of Vietnam (UBCV) and certain Protestant house churches, notably those of the ethnic minorities. They called on Vietnam to withdraw the 5th draft of the Law on Belief and Religion and “prepare a new draft that conforms to Vietnam’s obligations under Article 18 of the International Covenant on Civil and Political Rights”. 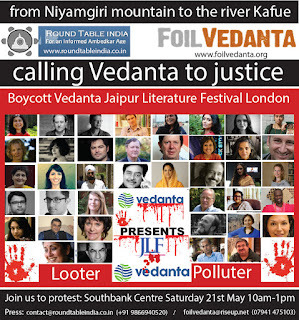 Renowned writers, activists and people directly affected by the activities of British mining company Vedanta Resources have signed a letter calling for the participating authors to boycott of the Jaipur Literary Festival at Southbank in London on May 21st in view of Vedanta's human rights abuses and criminal activities worldwide. A protest organised by Foil Vedanta and Roundtable India will also be held outside the event (see flyer attached). Please contact roundtableindia.co.in (+91 9866940520) or foilvedanta@riseup.net (+44 7941475103) for more information. We were surprised to hear that you have agreed to participate at the Jaipur Literature Festival, claiming to be “The Greatest Literary Show on Earth”, which has 'the world's most hated company' Vedanta as its key sponsor. Are you aware that Vedanta’s activities are destroying the lives of thousands of people in Odisha, Chhattisgarh, Goa, Tamil Nadu, Rajasthan, Karnataka, Punjab and also in Zambia, South Africa and Australia? Are you also aware that Zambian villagers are currently taking Vedanta subsidiary KCM to court in the UK, accusing it of consistently poisoning their water over the last decade? In 2011 Zambian High Court Judge Phillip Musonda said he wanted to make an example of Vedanta for their ‘gross recklessness’ in polluting the River Kafue without remorse, and highlighted 'KCM's don’t-care attitude whether human life, which is sacrosanct in our constitution, was lost or not.' In 2014 Vedanta 69% owner and Chairman Anil Agarwal was caught on video bragging to businessmen at a Bangalore conference, that he had bought the Zambian copper mines at a fraction of their value and was making $500 million each year despite declaring a loss in Zambia. The Zambian government reacted by auditing the mines, and discovered vast tax evasion schemes and asset stripping. In Korba, Chhattisgarh, India between 40 and 100 workers died at Vedanta subsidiary BALCO’s aluminium smelter complex when a chimney under construction collapsed on them in September 2009. The subsequent judicial inquiry into the incident found Vedanta guilty of negligence and using sub-standard materials and construction methods. However, Vedanta’s lawyers suppressed the report, which was leaked by activists in 2014. Meanwhile in Goa, Vedanta’s iron ore mining subsidiary Sesa Goa (now Vedanta Limited) was the largest company that was indicted by the Shah Commission in 2012 for illegal mining, including failure to obtain leases or environmental clearance, and exporting 150 million tonnes of iron ore from Goa in 2010/11 while only declaring 76 million, their agreed export allowance. There is growing criticism of fossil fuel companies sponsoring arts and cultural organisations. Recently, the Tate Gallery, under pressure of sustained campaign by the coalition Liberate Tate over the last few years, agreed to give up on its sponsor BP. For years now, Vedanta has been attempting to create favourable public opinion by sponsoring the International Film Festival of India (IFFI), the NDTV Our Girls Our Pride gender project and even the oxymoronic Mining Happiness campaign, using celebrities and media houses to hush up its liabilities. But each of these attempts has been exposed by grassroots groups and people's movements pointing out Vedanta's corporate crimes using social media and letter writing. 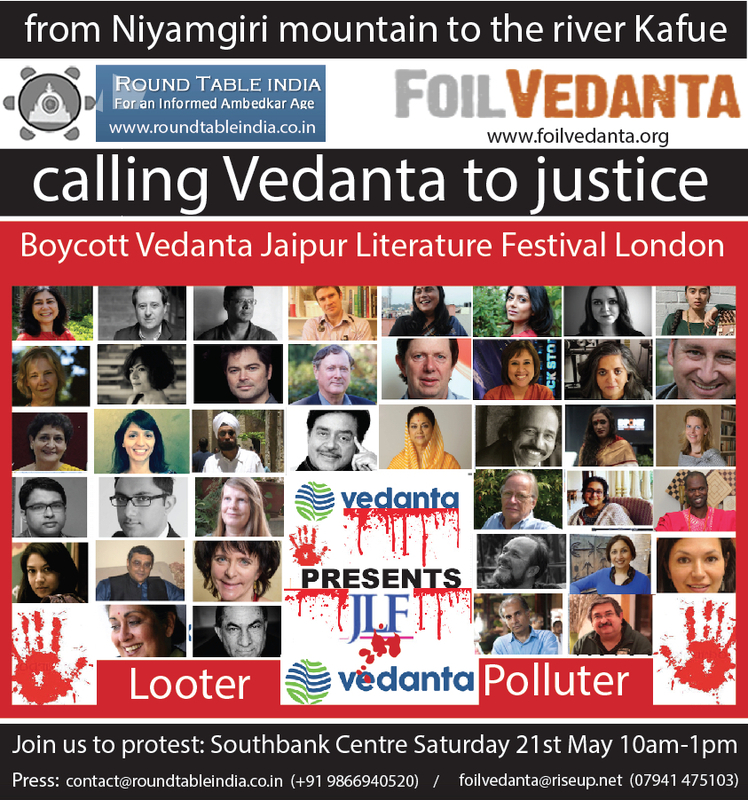 The Vedanta JLF at Southbank is yet again another cynical attempt to distract attention from Vedanta’s crimes at a time when it stands exposed across India and internationally. Vedanta’s interests are directly opposed to the Dalit, Adivasi, Bahujan Samaj and black communities it claims to be helping. Literature doesn’t exist in a vacuum. We believe that writers and artists, as public figures, also have responsibilities. It makes little sense to discuss books and ideas and the problems of the world in abstraction, while being funded by and publicising a company that has been and continues to be a gross violator of human rights across the world. We hope that you agree, and will withdraw from involvement in this discredited and damaging PR campaign, rather than lending your name to it. Yours sincerely, Anu Ramdas, Editor, Round Table India Naren Bedide (Kuffir), Editor, Round Table India Akash Poyam, Founding Editor at adivasiresurgence.com Dr. Hansda Sowvendra Shekhar, Medical doctor and author, Jharkhand, India Gladson Dungdung, activist, author Surya Shankar, Filmmaker Arao Ameny, Founder of Association of African Journalists & Writers Kavita Bhanot, writer Courttia Newland, writer Manju Rajak, artist Neetisha Xalxo Samantha Asumadu, Media Diversified Ruby Hembram, Founder & Executive Director, Adivaani Sridhar Gowda, Literary Agent V.Divakar, Editor, The Baroda Pamphlet Thongam Bipin, Ambedkar Students Association (ASA), UoH Tariq Mehmood, writer, Assistant Professor, American University, Beirut Nabina Das, poet and writer Koonal Duggal Researcher, Department of Cultural Studies, EFL University, Hyderabad V.Divakar, Editor, The Baroda Pamphlet Firoze Manji former Editor, Pambazuka News Rollie Mukherjee, artist & writer, Vadodara. Priyabrata Mahapatra, IT Professional Dharma Teja, Dalit Camera Vinita Damodaran, Director, CWEH, University of Sussex Subash Kulesika, Youth Leader, Niyamgiri Suraksha Samiti Amita Kanekar Ananta Dash James Nyasulu, community activist and pollution affected person, Chingola, Zambia. William Chitundu, KCM former miners, Zambia. Jonathan Mbewe, Residents of 1st Street against Pollution, Chingola, Zambia. Miriam Rose, Foil Vedanta Samarendra Das, Foil Vedanta Zuky Serper, artist, Foil Vedanta Amrit Wilson, writer, activist Amarjit Chandan, Poet Mangalesh Dabral, The Public Agenda (Hindi fortnightly), poet, journalist Vijay Chandra, Telugu poet Ashley Tellis, writer, lecturer, activist Ashutosh Wasnik, senior human resources analyst at SaskPower, Govt of Saskatchewan,Canada Akshay Pathak, Writer Gaurav Somwanshi, Entrepreneur Rafiq Kathwari, poet Hemant Divate, poet, editor, publisher and translator Sruthi Herbert, Doctoral Candidate, SOAS Murali Shanmugavelan, Researcher, Media and Anthropology, SOAS Vaibhav Wasnik, postdoctoral researcher, Saarland University, Department of Physics Sukant Chandan, Malcolm X Movement Gouri Patwardhan, filmmaker Cathal Healy-Singh, Environmental Engineer, Trinidad & Tobago Atul Anand, Researcher & Documentary maker Alex Lubin, Professor, University of New Mexico Aflatoon, All India Organisational Secretary, Samajwadi Janaparishad Vinay Shende, HR Professional Nilesh Kumar, PhD Researcher, TISS Devangana Kalita, Foil Vedanta Rebecca Oliner, Artist Taru Dalmia , the Ska Vengers Samara Chopra, the Ska Vengers Mohinder Singh, Assistant Professor, Political Science JNU Vinita Damodaran, Director, CWEH, University of Sussex Pinak Banik, Artist and Teacher Sir Julian Rose, author and President of International Coalition to Protect the Polish Countryside. Ganesh Digal, Odisha Research Scholars for Social Justice (ORSSJ) Priyadarshini Ohol, artist Stalin K. Director, Video Volunteers Abhiyan Humane, Artist and Teacher Madhusree Mukerjee, writer Professor Patrick Bond - Centre for Civil Society, Johannesburg Charu Soni, independent journalist & writer Pamela Gonsalves - Save Goa Campaign Dr. Rashmi Varma, University of Warwick John Hutnyk, Professor, National Chiao Tung University Anandi Ramamurthy, University of Central Lancashire, School of Journalism Media & Communication Eye Art Collective Siddhartha Deb, author Biswajit K. Bora, Assistant Professor, Dept. of English, Shyama Prasad Mukherji College (for Women), University of Delhi Roshan, Odisha Research Scholars for Social Justice (ORSSJ) Rajesh Bagh, Odisha Research Scholars for Social Justice (ORSSJ) Stefan Kaye, The Ska Vengers Asad Zaidi, writer and publisher, Three Essays Collective Sufi Hussain, Anthropologist & Coordinator DST at Dalit Sujaag Tehreek Sumit Mahar, Community Media Student, TISS Mumbai Arundhati Ghosh, India Foundation for the Arts Raghavendra Rao, Srishti, School of Art, Design and Technology, Visual Artist Manohar Naga, Ex teacher, University of Hyderabad Shiv Prasad Joshi, Poet-Writer, Translator, Media Teacher, Journalist Ujjwal Bhattacharya, Journalist and Writer. The National League for Democracy now has legitimate government power. Its agenda will soon turn to resolving the civil war that has plagued Burma for over sixty-five years. To accomplish this, though, it will have to accept some hard truths, and initiate a completely new approach. There was an effort to negotiate peace in the country over the last four years, but which came to nothing. The reasons for the abject failure are obvious. The peace negotiation was bankrolled by Europe, reportedly to the tune of over thirty million dollars. However, the E.U. took the military dictatorship’s side. Much of the money was channeled to the regime’s Myanmar Peace Center. Even worse, Europe apparently bought into the dictatorship’s propaganda that the country’s ethnic armed organizations could be coerced to surrender; or, barring this, defeated in combat. 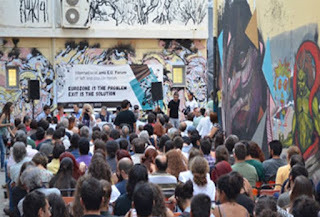 Europe, astonishingly, ignored the fact that it is the dictatorship which has been wholly responsible for the war, through invading the ethnic homelands and committing crimes against humanity against the civilian population. Both Europe and the dictatorship further underestimated the degree of resolve with which the EAOs would defend their people. The negotiation “product” was a flawed ceasefire agreement, with only two significant non-regime allied groups. Indeed, this inconsequential result was itself achieved through the offering of inducements, call them what they really are - bribes, to the groups’ leaders. For these rewards the leaders satisfied their personal obsession with power, and in the process betrayed their own people and their ethnic nationality brothers. With the NLD now in charge of the government (some of it, at least), the International Community, starting with Europe, has established a new Joint Peace Fund, this time with over one hundred million dollars. If this money is also not to be wasted, and the people of Burma are finally to escape the depredations of war, some lessons will have to be learned. 1. The so-called NCA, which the KNU and the SSA-S signed, must be abandoned - allowed to fade into oblivion. Right now, the Burma Army is attacking the KIA and the TNLA, and it is threatening other non-signatories, notably the SSA-N, to get them to accept the NCA. However, and as should already be clear, this will never work. The BA is perpetuating the conflict to satisfy its own anger and vanity. The NCA is over. It is time to move on. Furthermore, the BA must stop its attacks! There can be no peace deal without peace! 2. The MPC, thankfully, has been closed. Its officials embezzled Europe’s money, and then as a parting gift stole its capital assets. These individuals, and any organizations that they create, must be banned from future negotiations. A new effort needs new people, and who are not beholden to any side. 3. The last two components of the 2014 national census, the ethnic and religious breakdowns, must be released. For any peace negotiation to have a possibility of success, there must be honesty and transparency about the demographics of the people of Burma. Fortunately, this is within the NLD’s power, since it controls the Labor, Immigration and Population Ministry. Even though this is one of the ministries Aung San Suu Kyi gave to regime officers, in this case Thein Swe, she - Suu Kyi, must permit Daw Khine Khine Soe, Director of the Population Department, to publish the census results. Everyone can then analyze the results, to judge if they are untampered, and further to make adjustments for the large groups that were not counted, including in Shan, Karen and Arakan States, and among refugees, resettled refugees and exiles, and migrant workers. In fact, the EAOs should refuse to participate in any new peace negotiation until the census results are published. 4. In a similar vein, the EAOs that did not sign the NCA are still designated as illegal organizations. This is rich, since it is the military dictatorship, which stole the 1990 election and which is nothing but a collection of war criminals, that is illegal. Nonetheless, the regime legacy imperils the ability of EAO leaders to participate safely in a negotiation, at least if it is inside Burma. Fortunately, this too is within the NLD’s power. Just as it is now changing the laws about protests, which were used to imprison countless activists, it can find a way to end this identification as well so that EAO leaders and members can travel in the country. Indeed, as with the activists, the EAOs are freedom fighters. They should be celebrated, not arrested. 5. A final prerequisite is that the NLD should accept ownership of the new peace process. The negotiation, including its arrangements, cannot be biased. While there are legitimate concerns over the NLD’s objectivity, it can be held to account through how the negotiation is conducted. Also, and practically, if the MPC is not going to make the arrangements, someone else is going to have to do it. It’s a risk for the NLD, assuredly. The negotiation will be difficult. The military continues to be untrustworthy and insincere. But, as the government, it is rightfully the NLD’s job; and, they will only be fulfilling the role that the EAOs have longed for for years. If the new negotiation does not bear fruit, it will no doubt be clear who is to blame. The most important issue of all is the new negotiation’s goal. Yet another reason for the NCA’s failure is that it was never clear, at least among the participants, what was meant to be achieved. In summary, there are three general possibilities. The first is simply a ceasefire, meaning on the battlefield. This is the standard usage of the term, in war zones all around the world. Ceasefires demarcate positions for parties in conflict. They typically call for the relocation of troops, and similar code of conduct measures. Through this, they attempt to ensure the safety of local civilians, and which may also include the involvement of independent peacekeepers. The second approach is to combine this with a political negotiation, addressing the causes of the conflict and the means to their resolution. Of note, though, adding this element exponentially increases the negotiation difficulty. Because of this, there is often a two-step process: Establish a battlefield ceasefire; and, after it has endured a reasonable period, proceed to the political talks. In complex negotiations involving entire countries rather than just territories, the second approach may be expanded even further, to resolve the underlying causes through altering components of the national design. This could involve many different things, from rewriting the constitution to dissolving the nation into independent states. Interestingly, some commentators are suggesting for Burma that it might be possible to get around the military’s veto over constitutional amendment by incorporating necessary changes into a national peace treaty. This is wishful, naive thinking. If the generals won’t amend the Constitution, which unwillingness they have repeated ad-nauseam, they also won’t sign any peace treaty that accomplishes the same thing. Putting it on the agenda simply means that this negotiation, too, will fail. The proponents of the idea are effectively saying: We can’t achieve a battlefield ceasefire, or a political agreement, so let’s try for a complete national makeover, all in one step. (Good luck with that!) Other than the fact that the dictatorship was intransigent, and that it received Europe’s blind faith, the Burma NCA failed because it attempted the second option. Of course, it only did so because the Burma Army refused to implement a battlefield ceasefire. The NLD, to be astute, should limit the new peace process, initially, to this objective - peace on the ground. That in itself would be a monumental achievement. There is plenty of time to move on to the issues of a unitary versus a federal society, the legitimate role of the military and security sector reform, natural resource sharing, and constitutional amendment or redrafting. Indeed, with a period of real peace, the different parties should be able to discuss Burma’s political issues more easily. Also, and again addressing practical concerns, the NLD needs to create an independent group to organize the future negotiations. As to location, this ideally would be inside Burma, but as long as the EAOs are branded illegal organizations it will still have to be in Chiang Mai. We are years away from having any type of new Panglong Conference and Treaty. Finally, the new process is also going to have to address the outcome of the first, by which I mean the split that Europe precipitated among the EAOs. 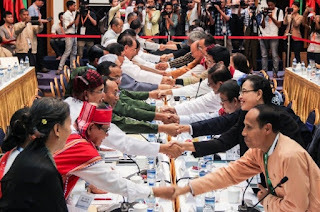 There are four parties to the new negotiation, not three: the NLD, the military, the NCA signers, and the intact pro-democracy resistance groups (organized through the UNFC, and which deserves its own share of the Joint Peace Fund). Barring, or until, the leaders of the KNU and the SSA-S are replaced, this split, as in the first negotiation, will make a real nationwide ceasefire much more difficult to achieve. To assuage the resistance groups’ fear that they are being cornered, the NLD should reach out to the UNFC, and involve it openly in every organizational step in the new peace process. If the NLD does not do this, the pro-democracy resistance has every reason to believe that the partisanship in the first negotiation has survived, and that they should never sign anything. PARIS – BRUSSELS, 2 March 2016 - European Ombudsman, Ms O'Reilly, concluded on 26 February 2016 that the Commission's refusal to carry out a human rights impact assessment constituted maladministration. 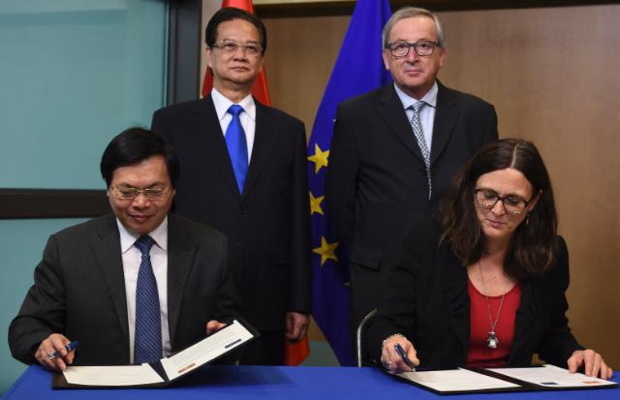 FIDH and its member organisation Vietnam Committee on Human Rights (VCHR) welcome this historic decision, which follows a complaint filed by our organisations to the Ombudsman's office against the European Commission’s handling of the EU-Vietnam Free trade agreement (FTA). The European Parliament, which has to ratify this agreement, invited tomorrow (Thursday 3 March) FIDH and Ms O'Reilly to expose their view on this case. FIDH will call on the Members of the European Parliament (MEPs) to take their responsibilities and to ensure the agreement respects the EU's human rights obligations. “The Ombudsman's decision is a concrete step in the right direction to ensure the EU complies with human rights in its trade and investment policies. It must be considered and supported by MEPs,” said Karim Lahidji, FIDH President. It clarifies that the human rights impact assessment should be made before the agreement is concluded, in order to influence the negotiations, and that they have to achieve some minimal requirements. In stating the latter, the Ombudsman referred expressly to the Guidelines on the analysis of human rights impacts in impact assessment for trade‐related policy initiatives adopted in July 2015. The Ombudsman insists on the fact that, in the end, the EU must seek to prevent negative effects of trade and investment agreements by modifying some of its specific provisions when needed and by deciding on mitigating measures before its conclusion. Importantly, the Ombudsman explicitly rejected the European Commission's arguments that a legal link to the human rights clause in the FTA and the use of other traditional tools like dialogue and development cooperation were sufficient to comply with the EU's human rights obligations, pointing out that she “does not believe that it is sufficient to develop a range of general policies and instruments to promote human rights compliance while at the same time concluding a Free Trade Agreement which may, in fact, result in non‐compliance with human rights requirements”. “The Ombudsman’s decision sets an important precedent, and the European Parliament should use it to press for stronger human rights guarantees before signing the FTA with Vietnam. The EU should make the Human Rights Impact Assessment an obligatory prerequisite to all trade and investment agreements, to ensure that countries seeking commercial relations with the EU cannot benefit from preferential trade or investment relations on the back of violations of their people’s rights” said VCHR President Vo Van Ai. FIDH and VCHR view this decision as the consecration that human rights in trade policies are a matter of concern by themselves, and cannot be dealt with by soft diplomacy, technical advice and financial allowances. This calls for a revision of the proposed agreements and the enhancement of human rights protection mechanisms. As of today, the draft FTA, which is submitted to the Parliament's signature, only mentions human rights in its preambule and does not provide clear and enforceable obligations for the parties and investors to respect international human rights law. This is not in line with the EU's legal obligations with regards to human rights. The EU should remedy to the lack of human rights requirements, and should set up of a human rights monitoring and a complaint mechanism for populations whose human rights may be affected by the investment and trade agreements. As the debate on the draft treaty takes place in the EP, human rights violations are escalating alarmingly in Vietnam. While in 2015 and during the FTA negotiations, the government has reduced criminal prosecutions of human rights defenders to avoid criticism, at the same time, physical assaults, harassments and repression against human rights activists by Security forces has increased. Scores of bloggers, labour and land rights activists, religious followers, members of ethnic groups and human rights defenders remain in jail. Freedoms of opinion, expression, association, assembly and religion are severely restricted, and Vietnam is adopting new legislation to further curb these rights, including new laws on Belief and Religion, Access to Information, Association and Demonstrations. The Criminal Code, revised in 2015, increases certain penalties for human rights defenders and maintains vaguely-worded “national security” provisions that grossly violate Vietnam’s international treaty. There is no independent media in Vietnam, no free trade unions, and independent civil society organizations are fiercely repressed.